Many of the children on my caseload have social skills goals. So many in fact, that my resource room teacher and myself co-teach 3 different groups, in addition to the work that I do in the speech room with these students. Although our system is constantly evolving depending on our moods and the needs of the students, we have learned a few principals that seem to work consistently with our higher-functioning students. 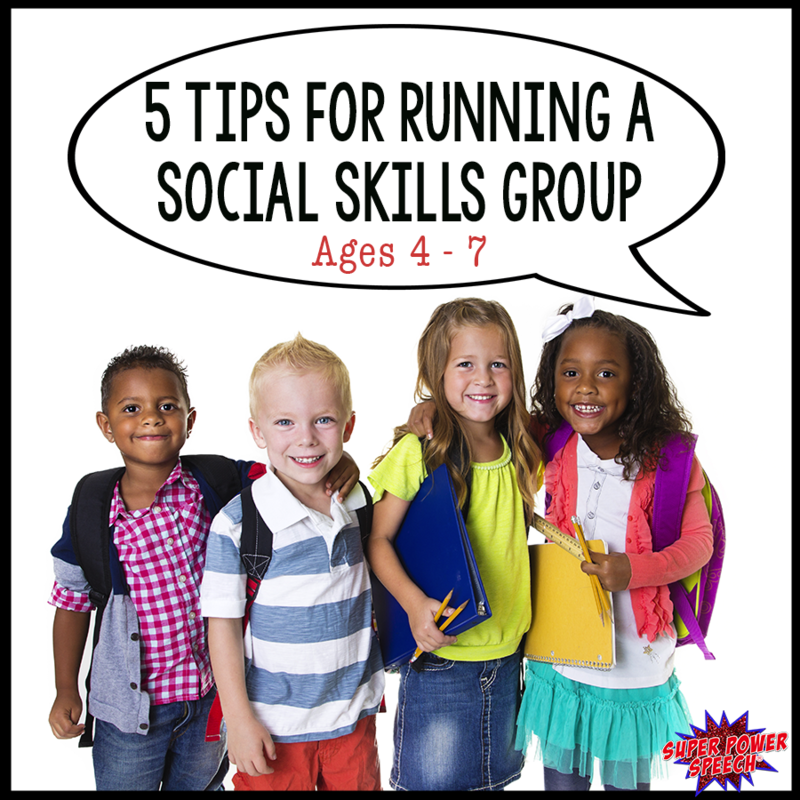 Here are some tips to help you run a successful social skills group! I have taken the students’ pictures and added Velcro. The students being each group by checking in. I keep my zones on my white board. Right from the beginning of our group, we can talk about tools to help the students get into green if they are in yellow or blue. I would love to tell you that my students are intrinsically motivated to learn social skills. The reality, however, is that most of my students need an external motivator. We allow the students a few minutes of play time in the “break” area if they reach their goal. 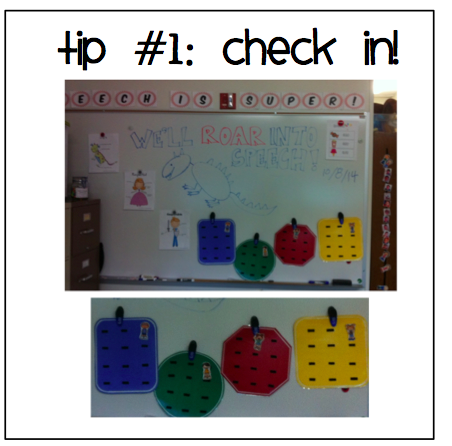 My special educator teacher and myself use things like these free Token Boards or checklists to reinforce their participation. 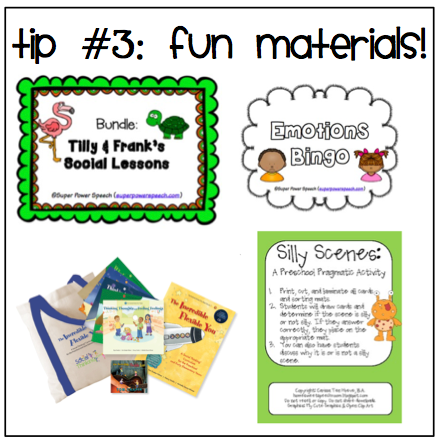 I love to create fun materials for my social skills group! My favorites include my puppets, Tilly and Frank. 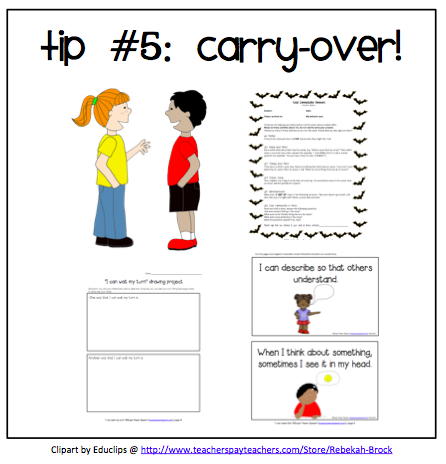 I have now created 16 social skills lessons (with more on the way!) 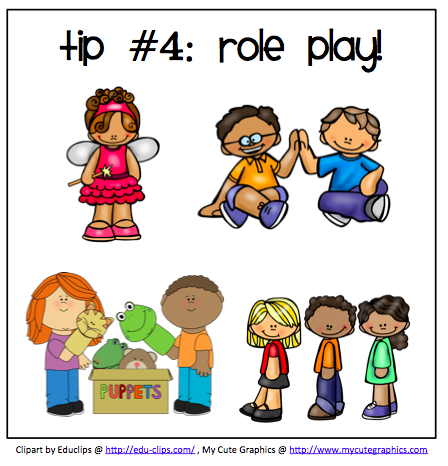 that include puppet shows, games, activities, and social story books. We have sooooo much fun with our puppet shows! We really get into the characters and the kids always ask about the puppets! Other teachers will even come in to watch our puppet shows! We also play games such as my FREE Emotions Bingo to help work on identifying emotions and zones. Social skills are only learned when they are practiced over and over! That is why my Tilly and Frank includes a home connection with every lesson (books and worksheets). In addition, my social homework packet is helpful for students that are a little older (6+) to practice with a parent. Finally, students must practice with peers and siblings! Neighbors, brothers, sisters, cousins, and others must be invested in the process to help the child master his/her social skills! Not sure what to work on with your students? 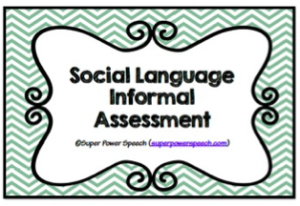 Use my Social Language Informal Assessment to help you develop some goals! Love your blog! 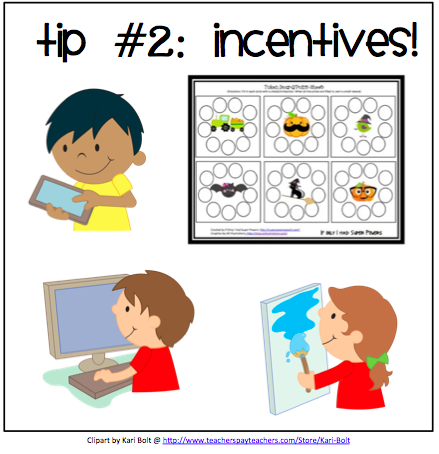 Have you checked out Social skills program ‘The Incrediblye Flexible You’ yet from http://www.socialthinking.com? I am an SLP, but I’m currently the integrated special eduation classroom teacher in preschool. I’m finding this is a great fot for this age range! The kit includes music and talks about keeping body, eyes and brain in the group, following a group plan, etc. I love it! It has storybooks and a teacher book with ideas for the classroom and home. :).